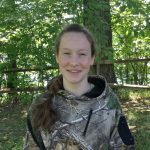 This weeks blog post was written by Eileen C., a Bucktails and Gobblers Alumni! 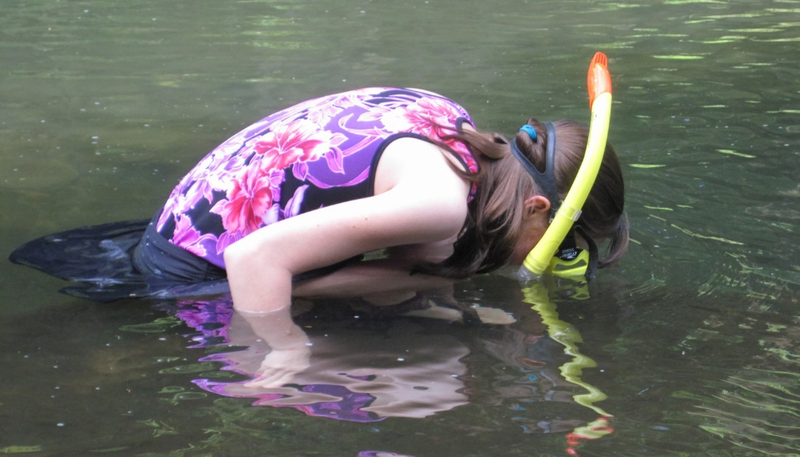 She writes about her introduction to snorkeling, and all of the life teaming beneath the water’s surface. Have you ever wondered what it would be like to be a fish? What it’s like to have a bass swim past your face? 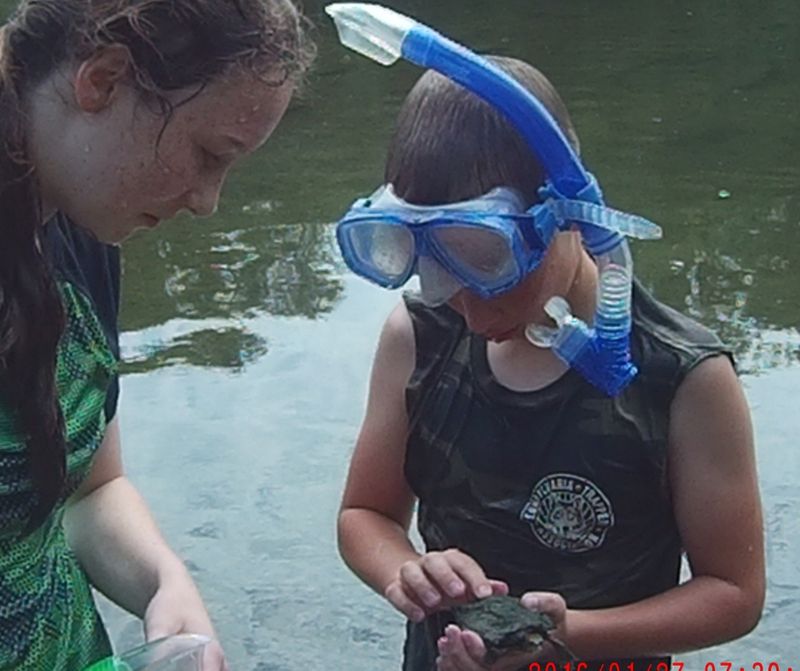 Curious bluegills inspecting you? Or a snapping turtle staring you straight in the eyes? 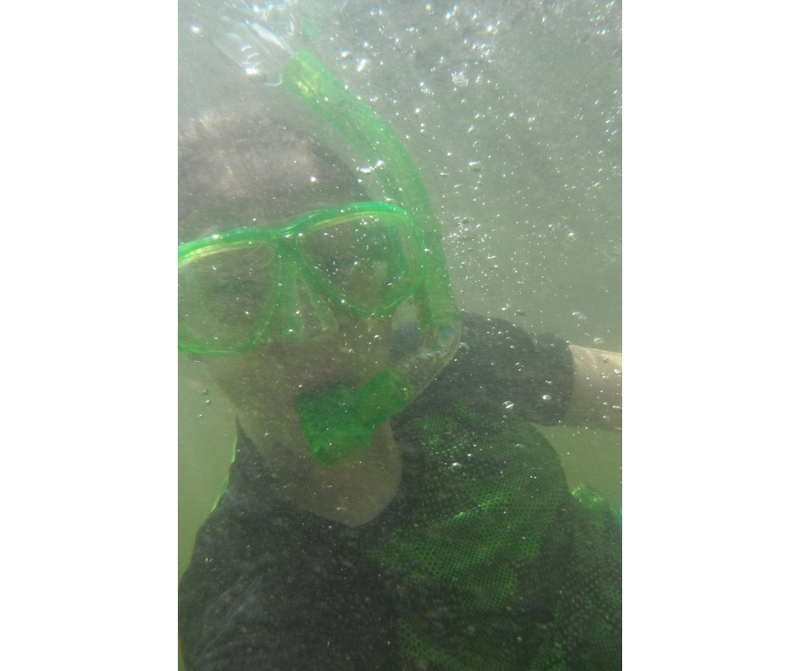 When I was eleven or so, my dad began taking my siblings and me snorkeling, and I’ve done so ever since. What compels me to bike down to the creek, and get wet (and cold)? There’s a vibrant world living beneath the surface, waiting to be explored. I’ve witnessed clams sticking out their feet to feed, numerous species of turtles, a smorgasbord of insect nymphs, water pennies, snails of all kinds, and of course, countless species of fish. There are massive bullhead catfish, stealthy madtoms, beautiful bass, teams of shining minnows, hefty carp, colorful redbreast sunfish… well, you get the idea! I get to watch as these creatures work together to make the ecosystem function! And to snorkel, you don’t need a whole ocean. A single foot of water is full of life. When you lower yourself to the same level as the fish, you see them and their entire environment from a new perspective. You see what you can’t see from the surface. Observing a fish face-to-face in its own environment is different. I see the fish, suspended, floating in the water, fins spinning, gills flapping, eyes turning to look at me. My stories can’t give you the experience of “swimming with the fish.” Nor can my blurry underwater photographs. So, don’t just take my word for it. Dive deeper. Explore the world beneath the surface. It’s more than just a creek. All photos in this blog were taken by the author.